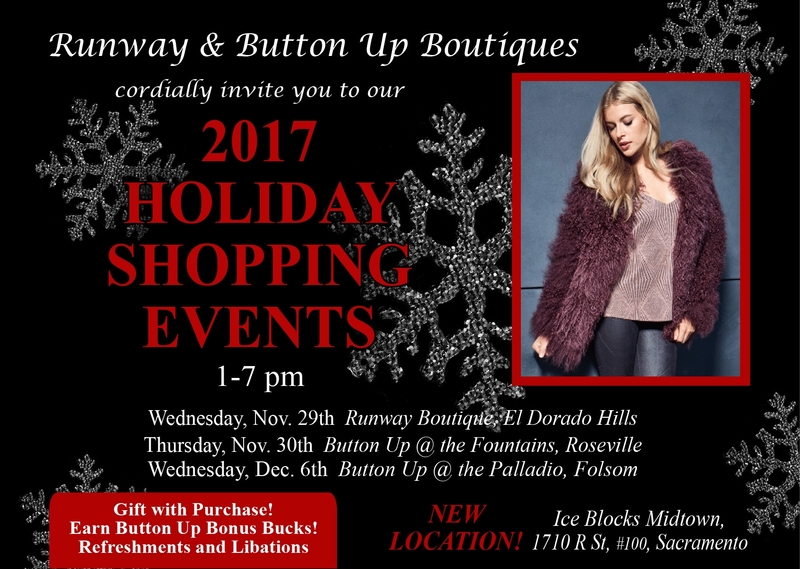 Runway and Button Up Boutiques are unique boutiques that bring fashion forward designer brands to Sacramento, Roseville, Folsom and El Dorado Hills. The stores provide ageless fashion that appeals to all generations and styles that fit a variety of body types. Signup to be notified of sales and special events.